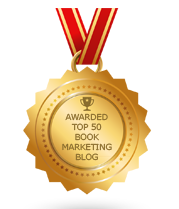 BookMarketingBuzzBlog: How Do You Build The “Write” Platform To Snag A Good Literary Agent? How Do You Build The “Write” Platform To Snag A Good Literary Agent? How should a writer create his or her platform, one that will show an ability to sell books – and impress literary agents and publishers? 2. “Personal and professional connections that you have. Those are the words of Chuck Sambuchino, who wrote about writer platforms in the newly published annual guide to literary agents from Writer’s Digest. For those writers seeking to find a literary agent, they will find useful information and advice in the 26th Annual Edition -- Guide to Literary Agents: 2017. Fresh off the press, it tells would-be authors what they need to know to create a great query letter and book proposal, how to secure the right agent, and what you should expect an agent to do for you. It also has a detailed directory of literary agents, with contact information and notes on what particular agents are looking for. For some, they can point to past media coverage – articles about or by them in major outlets or genre–targeted publications; guest-posts on influential blogs; radio interviews in decent-sized markets; and television appearances. For others, it could be that you show large social media followings on whatever platform of choice – You Tube, Facebook, Twitter, LinkedIn, Instagram, Pinterest, Google+ to name a few. Perhaps your platform is a digital rolodex and you can show a database of 40,000 e-mails. Whatever form it takes, you need to be able to impress others so they will feel inclined to invest in and work with you. All of the potential in the world is wonderful, but agents and publishers need to feel confident there will be a payoff when they sign you. No one wants to waste time or dream alongside of you. So what else can you do to make a nice platform? · Feature some great endorsements or testimonials on your web site. · Show videos from public appearances and list organizations where you delivered presentations. · Blog regularly and build up followers to a substantial size. · Show a lot of views/likes for various posts, videos, or podcasts that you created or were the subject of. · Become a regular contributor to a publication or media outlet. · Have an impressive resume that shows supportive credentials for the subject matter that your book’s on. · List memberships and leadership positions to major organizations. · Show any awards of relevance. · Reference writing contests that you placed a high in. Anywhere. Then build on it. If you speak at a local library and it goes well, schedule more talks at local libraries. In between those appearances, increase your Twitter connections. Send out queries to magazines and newspapers to get some freelance articles under your belt. Attend some networking events in your field. Launch a blog or podcast. Create a short video series. Go with your talents and interests and get out there. Who knows, you may just find that your platform is so big that literary agents will start coming to you!